Lemax Snowball Fight! 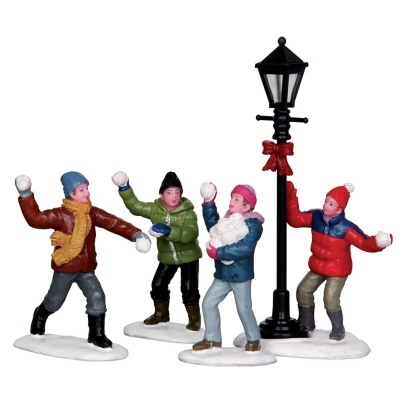 Set of 4 depicts a group of four boys wrapped up warm in Winter enjoying a snowball fight under a street lamp. A delightful Lemax Vail Village themed figurine set which joined the Lemax collection in 2013. Comprises four delightful individual hand painted polyresin figures on four individual snowed bases to compliment your seasonal Lemax Village display.